According to the good old Farmer’s Almanac, “Cold Man Winter” is back for the 2016-2017 winter season. To go along with frigid, cold temperatures, parts of the country can look forward to above-normal precipitation. Of course, this is good news for skiers, snowboarders and snowmobilers alike, who may want to log some extra time on the slopes and trails after last year’s disappointing accumulation. When was the last time you checked the tread on your tires? And, do your driving habits suggest winter tires might be a better fit for your vehicle and safety? If you haven’t already done so, now is a great time to find the right tire for your vehicle and the upcoming winter weather. If you’re current tires are good-to-go, check the tire pressure. For every 10-degree drop in temperature, tires can lose up to a pound of pressure. An improperly inflated tire will not provide the best traction on the road. Windshield wipers are something that are easy to forget about checking. Then, suddenly when you need them most, you flip them on only to remember you meant to change them after the LAST storm. Instead of waiting, why not go out and check them now? It only takes a minute. And if you find you need new ones, put picking up a new set on your “to-do” list. While you’re out there, check the windshield wiper fluid too. Pick up an extra gallon and keep it in the car. If you recently had your vehicle serviced, the coolant/antifreeze may be just fine. But it’s worth checking anyway, even if it’s simply to ensure it’s up to battling some of the coldest temperatures. Load-test your battery. Frigid temperatures may give you a good charge in the morning, but they can zap a car battery that isn’t optimally performing. Find your emergency kit that you removed from your vehicle this summer to make room for all that stuff you drug to the beach and then never used. Make sure the flashlight still works. Check the first aid supplies and replace any that have been used or are expired. 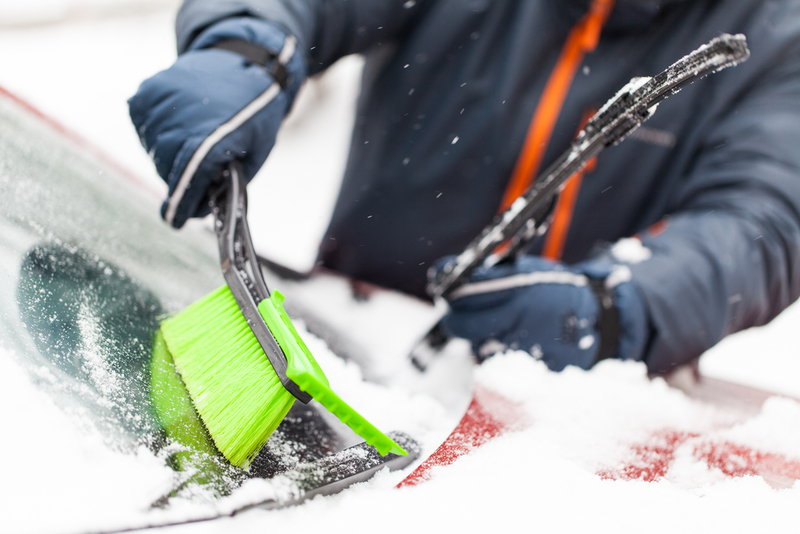 Where is that windshield scraper that you made good use of last year? If, like me, you can’t find it anywhere, picking up a new one sooner rather than later is probably a wise idea.